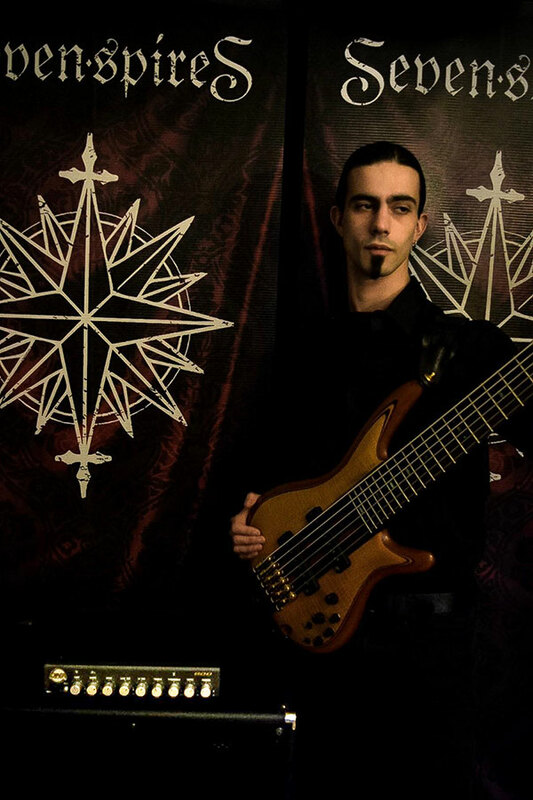 Peter Albert de Reyna is an electric and upright bassist currently studying professional music at Berklee College of Music in Boston, MA on a performance scholarship. Peter is most recognized for his work with the theatrical metal band Seven Spires, and the death metal band Unflesh. In addition, Peter works and performs with jazz trios, pit orchestras, and does regular studio work in the greater Boston area. He has played such music festivals as ProgPower USA in Atlanta, GA and the MetalDays Festival in Tolmin, Slovenia. He’s also performed across the Northeastern United States and opened for acts such as: B.B. King, Arch Enemy, Apocalyptica, Sonata Arctica, Fleshgod Apocalypse, Epica, The Agonist, Butcher Babies, Amaranthe, Kreator, Huntress, Carach Angren, and others. He is an extremely versatile musician who is well versed in Jazz, Blues, RnB, Metal, Orchestral, and session work. About Seven Spires: One fateful day in Boston, some years ago, two immortals crossed paths in a bookstore. He was of many, many notes, and she was of darkness and the old world. Such was the birth of Seven Spires, and so it shall always be. With the fortunate additions of old friends Chris and Peter, the family was complete: though young in countenance, the four were armed with highly specialized training from Berklee College of Music, as well as an insatiable drive to earn that which they hungered for: the world! While on tour they completely sold out of records, twice, and then ventured to Gate Studios in Wolfsburg, Germany to finish recording their new album with the illustrious Sascha Paeth.